Seeing a lot of linkage going on in jewelry this fall and digging every bit of it. Chain pieces make the perfect statement, using classic colors and cool cuts, it’s the best combo of lady chic + femme fatale. 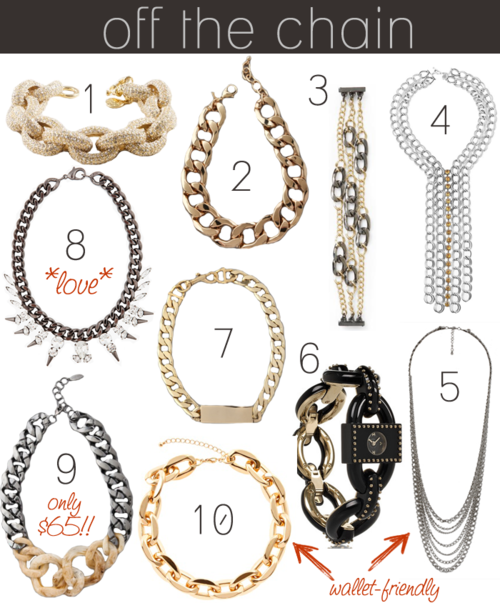 Get a bracelet to add to your arm party or a necklace for the ultimate statement accessory.